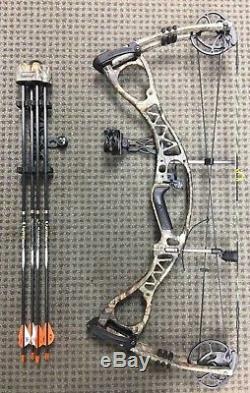 Specifications: VIEW LAST PIC FOR SPECS!! 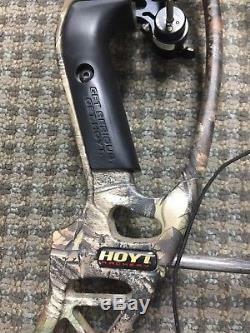 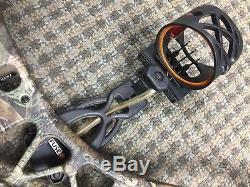 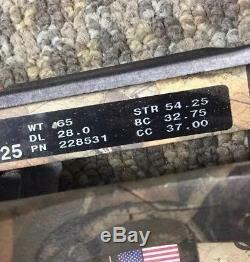 Hoyt Charger Camouflage Compound Hunting Right Handed Bow. 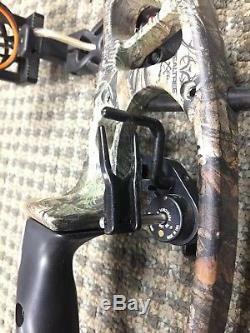 Fuse Quiver (mounted on the side of the bow). 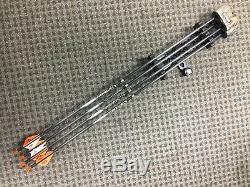 (4x) Easton Carbon aftermath Arrows. 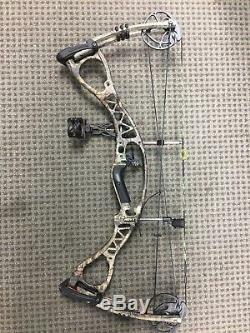 A couple light scratches on the bow from normal wear and use (hardly noticeable). 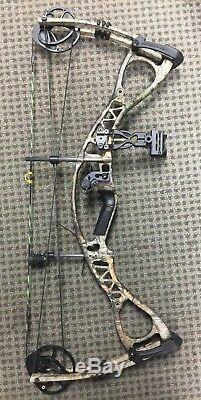 Bow is slightly dusty / dirty from normal use (view pics). 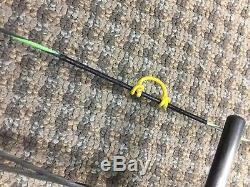 Arrows have a little wear to them and have the practice tips on them (view pics). 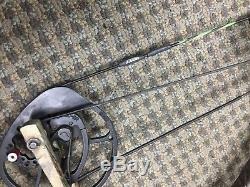 The string on the bow has a little bit of wear to it from normal use, but its overall in excellent condition! 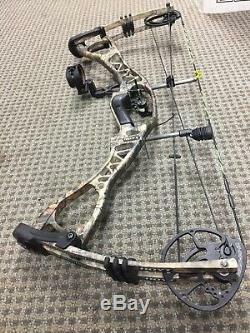 100% Fully functional Overall in great condition Please view pics as part of the description.